A Eagle three point sling series replica, this sling is constructed of high quality nylon. 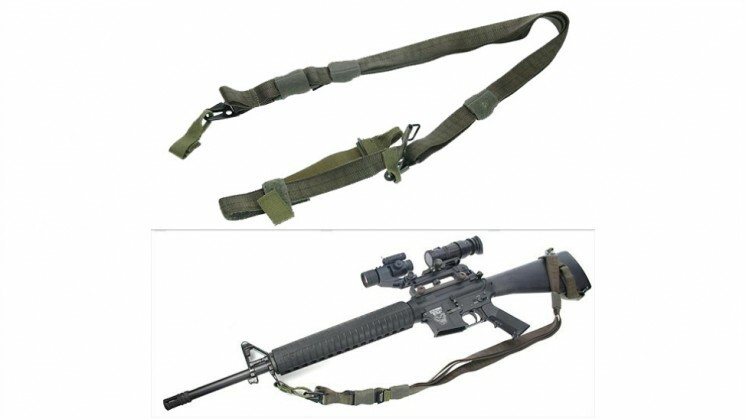 Tactial sling is highly durable for applying to all SMGs and tactical rifles. Can be used in compact retracted mode for carrying and CQB shooting- and with a snap of a push-button, the sling fully releases forward for maximum aiming freedom for around-the-corner shooting.